One of my earliest childhood memories is attending story hour at the Beaver Area Memorial Library. My grandmother lived at the corner of Buffalo and Second Street in Beaver, so the library was just a few blocks away and my mother would take me there and usually follow story hour with pizza at Grandma’s. I can vividly remember walking from my grandmother’s house to the Beaver Library when I was in 5th grade and checking out about a dozen books about the stock market. I can also remember literally jumping up and down when I would see the “Bookmobile” pull into my neighborhood as a kid. When I started my freelance writing business, I found that the CCBC Library made a fantastic place to write from, so I spent a lot of time there that summer. I’ve always had a thing for books, so libraries have always felt very comfortable to me. Living in Beaver County, thanks to the Beaver County Library System, I have always had plenty of options when it came to libraries. 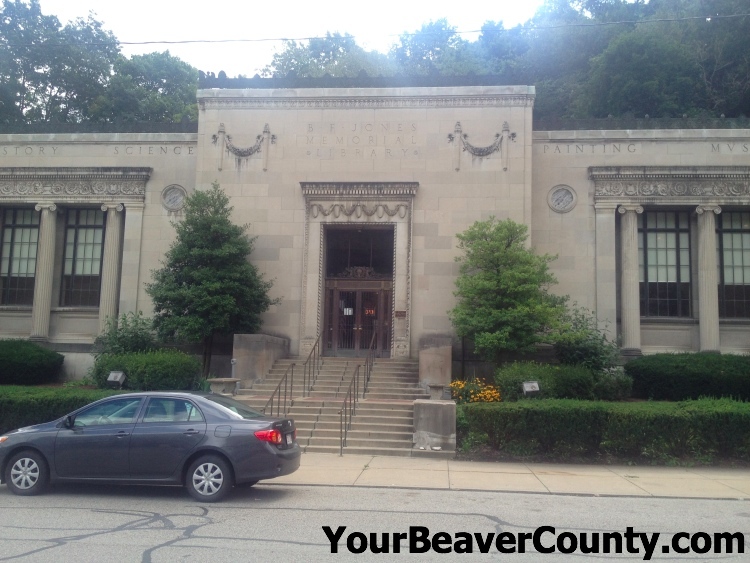 The Beaver County Library System was founded in 1971, and it currently contains a total of twelve libraries and one Bookmobile. Each of the libraries acts as its own independent operation, but there are a number of sharing programs that keep them all intertwined. In addition to all of the standard non-fiction reference books that you would expect any library to have, most of the local libraries also stock best selling fiction books, many different magazines and newspapers, and even DVDs and audio CDs. In order to borrow books from any of the Beaver County libraries, all you need is a library card. If you would like to register for a library card, there are only two requirements: you must live in Beaver County, and you must have some form of photo identification. That’s it. Of course, you only need a library card if you want to borrow something from the library. Anyone is free to walk into any library and hang out there for as long they like, as long as the library is open. You are free to read books there, use their computers or wifi, or attend scheduled events whether you have a library card or not. In addition to being a great quiet place to read and write, all of the libraries in the Beaver County Library System have great programs and events for kids, teens, and adults. I highly recommend you check out their calendars to see some of the events you could get involved with! Andrew is a professional freelance writer and lifelong resident of Beaver County. He created Your Beaver County to promote and showcase all of the positive aspects of our incredible local culture! You can find more of Andrew’s professional information at Brooklyn Content, or you can also follow him on his personal twitter account, @theAndrewSelby.  Archived in General, Lifestyle and tagged about, aliquippa, ambridge, archive, beaver, beaver falls, center, chippewa, library, lifestyle, new brighton.